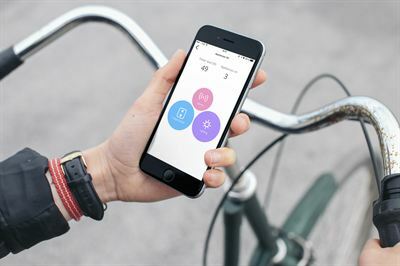 Cleantech Invest portfolio firm Watty, the Swedish startup company that tracks energy data, announced its first product launch for consumers in Sweden and Germany, at Slush in Helsinki. Watty monitors household appliances from a single sensor in the home using machine learning to help people understand which appliances are using the most electricity – saving them both energy and money. With winter just around the corner, the launch of Watty could not come at a better time for people hoping to reduce the cost of their winter bill. The Watty Box measures the total energy use via the customer’s fuse box. The installation is done by a professional and the data is transmitted via Wi-Fi or Ethernet. The device sends the data to Watty’s cloud where the ‘fingerprint’ of each appliance is identified. Watty is smart out of the box and can recognise many appliances from day one. The product is always learning and the user can teach Watty to recognise even more appliances by actively giving feedback in the app. The app is available on iPhone, Android and Apple Watch. Watty, launched exclusively in Stockholm, Berlin and Munich, costs only €197, including professional installation, and is available now from the Watty website, www.watty.io. Only 500 units will be sold in each market. The company was founded in 2013 by Hjalmar Nilsonne as a spinout from Stockholm’s Royal Institute of Technology. In July 2016, new European venture fund, EQT Ventures, invested €3 million in Watty. Other investors include Cleantech invest and InnoEnergy.